Motorola has officially entered the tablet market with the introduction of the 10.1″ Motorola XOOM tablet. The company calls dibs on the title as the first (Honeycomb) Android 3.0-powered tablet and touts it’s powerful dual-core processor (each core running at 1GHz), which incorporates the latest Google Mobile innovations and enhanced user experience for multi-tasking, customization, browsing, widgets and etc. 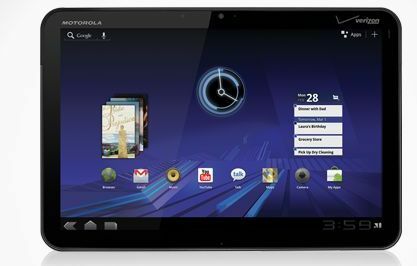 The Motorola XOOM tablet is scheduled to hit Verizon stores a 3G/Wi-Fi-enabled device in this quarter, upgradeable to 4G LTE in Q2 2011.